Golf's a big part of it ! Typical Provencal village, Maussane-les-Alpilles invites to walks through its narrow streets where the authentic charm has been preserved. One stop in the central square and here you are in the world of Pagnol. Its welcoming terraces allow a moment of relaxation in the shade of the plane trees. The village has kept its traditions: Camargue race, abrivado, bandido, Le Temps Retrouvé... From the village, direction the heights of Alpilles. There, fields of olive trees as far as the eye can see! 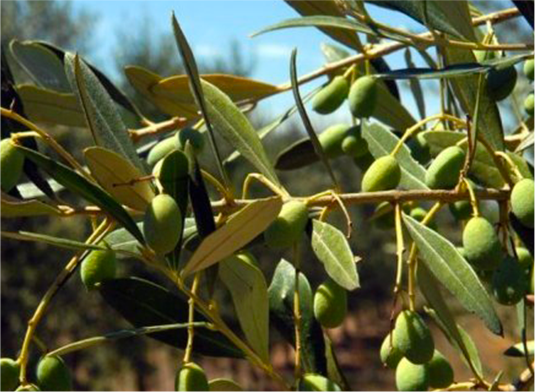 You are in the land of the olive and the landscapes are breathtaking. The local producers will make you taste their oils and will talk to you with passion about this so precious green fruit. 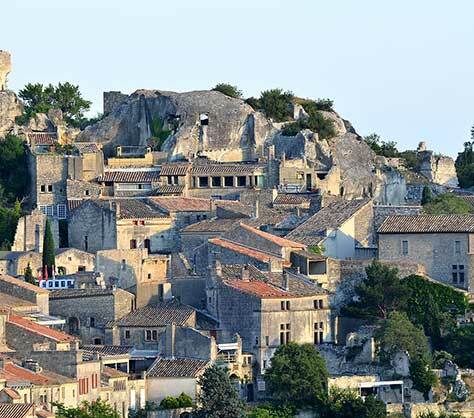 Classified as one of the most beautiful villages in France, the village of Les Baux-de-Provence dominates the Alpilles Regional Natural Park from the top of its beautiful boulder. 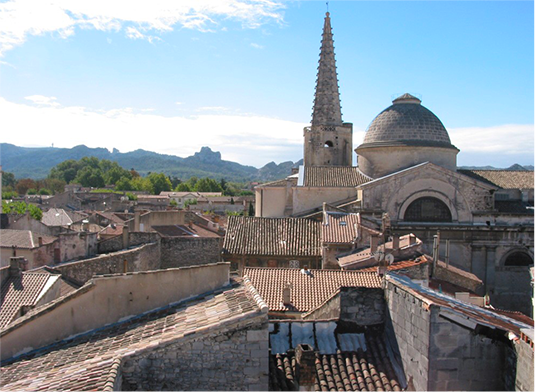 Its summit offers a magnificent panorama over the Alpilles massif, Arles and the Camargue. The village is an open-air museum that can be visited on foot. At the bend of its alleys, you will discover an exceptional historical heritage with many listed monuments such as the town hall, the church, or the castle. The latter, located at the end of the village, is an essential part of the visit. You will dive into the ruins of the medieval citadel and trace the history of Provence. Located 500 metres from the village of Les Baux-de-Provence, the Carrières de Lumières site has become one of the most visited in Provence. Built inside old quarries, a sound and light show is projected on 14 meter high walls highlighting the mineral aspect of the place. Great names in art have already covered the walls, floors and ceilings of this unique place in France. These include Michelangelo, Leonardo da Vinci and Raphael: The Giants of the Renaissance (2015), Chagall, Dreams of a Summer Night (2016), Bosch, Breughel, Arcimboldo, Fantastique et Merveilleux (2017) and Picasso (2018). It's a must! Ask us for your tickets at preferential rates. Located 10 minutes by car from the hotel, you will arrive in Saint-Rémy-de-Provence by crossing the Alpilles, a beautiful wine-growing and olive-growing landscape! On your way, stop at the archaeological site of Glanum, this remarkable ancient city takes you back in time. Saint-Rémy awaits you then for a discovery of this must of Provence. You will discover all its richness composed of its history, its typical trades, its demonstrations (abrivado, markets, féria, etc...), and its artists whose most famous was Van Gogh. Strolling quietly through its narrow and winding streets, you will come across beautiful old fountains, small shady squares welcoming pleasant restaurant terraces and elegant shops. Located 30 minutes from the hotel, Avignon, capital of Christianity in the Middle Ages, will take you back in time with its cobbled streets, its ramparts, the Palace of the Popes built in the 14th century, the Avignon Bridge, the museums of the Petit Palais and the Palais du Roure. Let yourself also be surprised by the charm of the city squares which are so many invitations to the art of living in Provence. The old alleys, the courtyards of the private mansions, the restored facades will charm you. 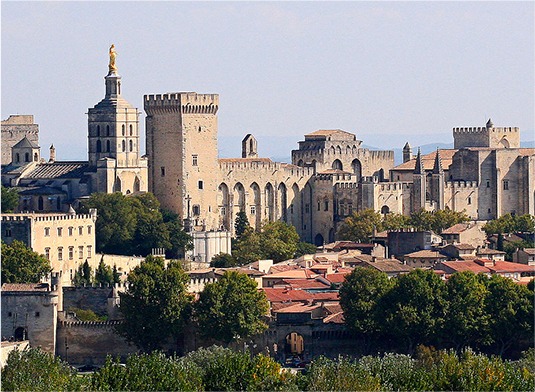 Avignon is also the capital of the performing arts, and its famous festival is a true artistic and cultural showcase of the city. The city vibrates all year round to the rhythm of its cultural activities. 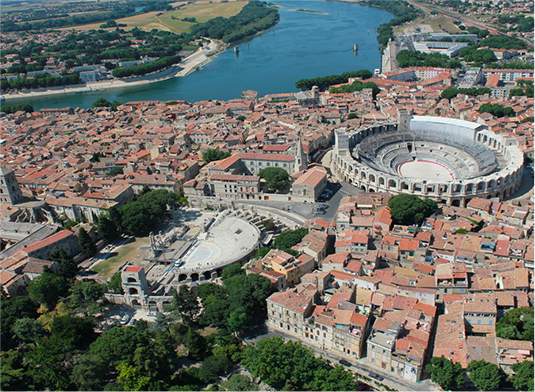 In Arles, a city rich in Art and History, you will visit the Roman amphitheatre, the ancient theatre, the cathedral and cloister of Saint Trophime, the museum of Ancient Arles, the Van Gogh foundation. You will enjoy festivities such as the Féria, the Fêtes and the Rencontres d'Arles, the Rencontres Internationales de la Photographie. At the gates of Arles begins the Camargue, a landscape of marshes and salt marshes, with dark bulls, white horses and pink flamingos. This Regional Natural Park composed of different ponds, will allow you to discover the gardian culture, to make horse rides, to visit Les Saintes Maries de la Mer, the fortified enclosure of the city of Aigues Mortes. 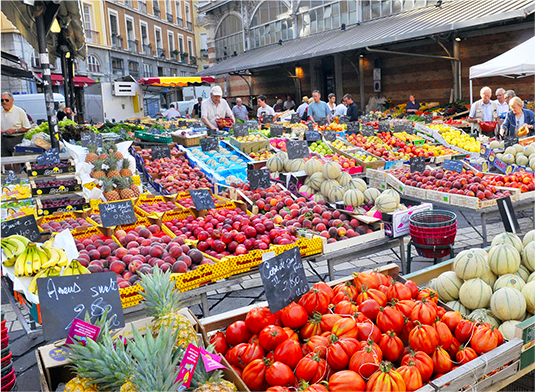 High in colour and flavours, the markets of Provence are as many invitations to discover and share local products. You will be seduced by their quality and diversity (fruit and fresh seasonal vegetables, olives, spices, cheeses, etc...). Throughout your stay, the market route will take you to new stops in the heart of the most beautiful villages of Provence. The Maussane-les-Alpilles market is held every Thursday morning in the shade of the plane trees on Place Henri Giraud. Ask us for the calendar, we will guide you! Golf's a big part of it! The Alpilles offer dream landscapes to indulge in your favourite sport all year round! Two 18-hole golf courses nestle harmoniously in this unique setting. 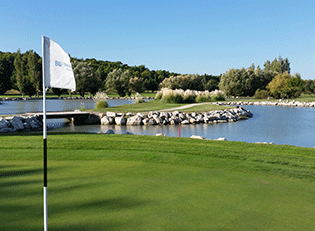 The Golf de Manville (2 km) opens its doors to you at the foot of Les Baux-de-Provence for a 5 star adventure. The Golf de Servanes in Mouriès (5 km) invites you to enjoy its warm welcome and its beautiful course. The Best Western Aurelia is a privileged golf partner that organizes its trophy annually and gives you preferential rates for your green-fees. Prepare your Golf stays with us, we take care of everything! 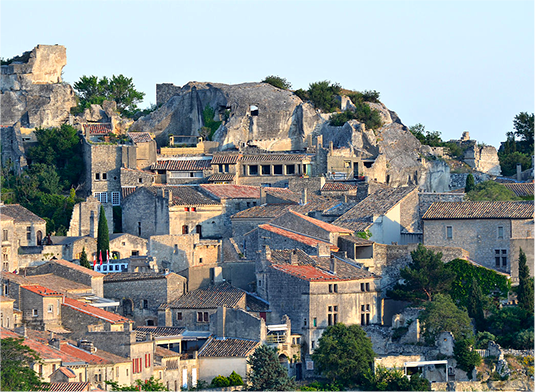 The "Baux de Provence" appellation, recognised since 1995, extends over eight villages in the Vallée des Baux spread over the two slopes (North and South) of the Alpilles. Starting from the Best Western Aurelia, you will take this Wine Route for a moderate discovery of the appellation's many grape varieties (Grenache, Mourvèdre, Syrah, etc...). You will be surprised by the unique character of the wines linked to the mild and dry climate of the Region and by the particular soil of the terroir. When you know that the key word in Les Baux is Organic, you will be conquered ! Ask us for the map, we will be happy to advise you. Typical Provencal village, Maussane-les-Alpilles invites to walks through its narrow streets where the authentic charm has been preserved. One stop in the central square and here you are in the world of Pagnol. Its welcoming terraces allow a moment of relaxation in the shade of the plane trees. The village has kept its traditions : Camargue race, abrivado, bandido, Le Temps Retrouvé… From the village, direction the heights of Alpilles. There, fields of olive trees as far as the eye can see ! You are in the land of the olive and the landscapes are breathtaking. The local producers will make you taste their oils and will talk to you with passion about this so precious green fruit. 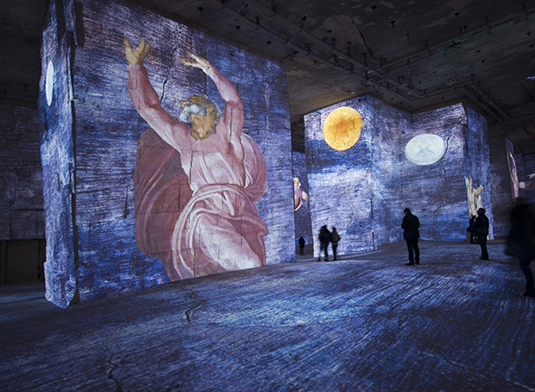 Located 500 metres from the villages of Les Baux-de-Provence, the Carrières de Lumières site has become one of the most visited in Provence. Built inside old quarries, a sound and light show is projected on 14 meter high walls highlighting the mineral aspect of the place. Great names in art have already covered the walls, floors and ceilings of this unique place in France. These include Michelangelo, Leonardo da Vinci and Raphael : The Giants of the Renaissance (2015), Chagall, Dreams of a Summer Night (2016), Bosch, Breughel, Arcimboldo, Fantastique et Merveilleux (2017) and Picasso (2018). It’s a must ! Ask us for your tickets at preferential rates. 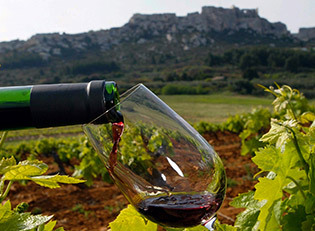 Located 10 minutes by car from the hotel, you will arrive in Saint-Rémy-de-Provence by crossing the Alpilles, a beautiful wine-growing and olive-growing landscape ! On your way, stop at the archaeological site of Glanum, this remarkable ancient city takes you back in time. Saint-Rémy awaits you then for a discovery of this must of Provence. 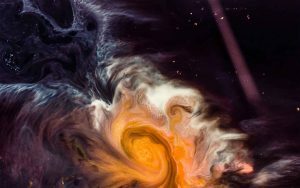 You will discover all its richness composed of its history, its typical trades, its demonstrations (abrivado, markets, féria, etc…), and its artists whose most famous was Van Gogh. Strolling quietly through its narrow and winding streets, you will come across beautiful old fountains, small shady squares welcoming pleasant restaurant terraces and elegant shops. In Arles, a city rich in Art and History, you will visit the Roman amphitheatre, the ancient theatre, the cathedral and cloister of Saint Trophime, the museum of Ancient Arles, the Van Gogh foundation. You will enjoy festivities such as the Féria, the Fêtes and the Rencontres d’Arles, the Rencontres Internationales de la Photographie. At the gates of Arles begins the Camargue, a landscape of marshes and salt marshes, with dark bulls, white horses and pink flamingos. This Regional Natural Park composed of different ponds, will allow you to discover the gardian culture, to make horse rides, to visit Les Saintes Maries de la Mer, the fortified enclosure of the city of Aigues Mortes. High in colour and flavours, the markets of Provence are as many invitations to discover and share local products. You will be seduced by their quality and diversity (fruit and fresh seasonal vegetables, olives, spices, cheeses, etc…). Throughout your stay, the market route will take you to new stops in the heart of the most beautiful villages of Provence. The Maussane-les-Alpilles market is held every Thursday morning in the shade of the plane trees on Place Henri Giraud. Ask us for the calendar, we will guide you ! Golf’s a big part of it ! The Alpilles offer dream landscapes to indulge in your favourite sport all year round ! Two 18-hole golf courses nestle harmoniously in this unique setting. The Golf de Manville (2 km) opens its doors to you at the foot of Les Baux-de-Provence for a 5 star adventure. The Golf de Servanes in Mouriès (5 km) invites you to enjoy its warm welcome and its beautiful course. Prepare your Golf stays with us, we take care of everything ! The ‘Baux de Provence’ appellation, recognised since 1995, extends over eight villages in the Vallée des Baux spread over the two slopes (North and South) of the Alpilles. Starting from the Best Western Aurelia, you will take this Wine Route for a moderate discovery of the appellation’s many grape varieties (Grenache, Mourvèdre, Syrah, etc…). You will be surprised by the unique character of the wines linked to the mild and dry climate of the Region and by the particular soil of the terroir. When you know that the key word in Les Baux is Bio, you will be conquered !